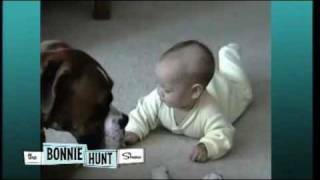 This one, a baby and Boxer dog video, isn’t new but somehow just crossed our desktop. SO worth a viewing! You may be directed to watch on YouTube. The link will work there if so. You can easily come back here by closing the tab that your browser displays.